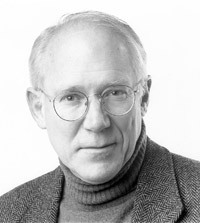 Robert Bringhurst (Photo credit: Don Hall). This fall, some of Canada's most outstanding poets and writers will be coming to Kelowna to read and give talks to students at UBC Okanagan. The readings begin with Robert Bringhurst and Jan Zwicky as part of the Minds and Music Series. The event is titled "Polyphony: a two-voiced poetry reading and talk." Bringhurst is a poet, typographer, translator, and cultural historian whose groundbreaking study of a Native American oral literature, A Story as Sharp as a Knife: The Classical Haida Mythtellers and their World unleashed both controversy and praise. Zwicky is a poet and philosopher. 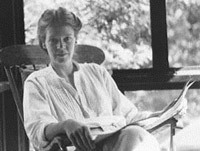 Her poetry, which has won the Governor General's award, deals frequently with music, as well as the natural world and is often cited for its intense lyricism. Next, Lorna Crozier, among Canada's most beloved contemporary poets, multiple award winner and professor of poetry at the University of Victoria, will be launching not only her new memoir, but also reading at a fundraiser for UBC Okanagan's art and literature journal, Lake: A Journal of Arts and Environment. Other authors coming this fall include Wendy Morton, founder of Random Acts of Poetry, Stan Persky, who is a philosopher and literary critic, and Barry McKinnon, a poet and teacher from Prince George and mentor to countless writers who have come from northern B.C. Robert Bringhurst and Jan Zwicky: Tuesday, Sept. 29, 12:30, ARTS 103. Free admission. Lorna Crozier reading with Don Gayton and Lindsay Diehl: fundraiser and launch of Issue #3 of LAKE: A Journal of Arts and Environment, Thursday, October 1, 7:30 p.m. Kelowna Art Gallery. Tickets $20, $8 for students. Supported by the Kelowna Art Gallery. Wendy Morton: Wednesday, October 14, 7 p.m., Student Services Building theatre 026. Free admission. Stan Persky: Monday, October 19, 2 p.m., ARTS 374. Free admission. Barry McKinnon: Thursday, October 29, 4:30 p.m., ARTS 103. Free admission. These readings are sponsored by the Minds & Music Series, the Writers Union of Canada, the Canada Council for the Arts, the UBC Okanagan Bookstore, The Department of Creative Studies, and The Faculty of Creative and Critical Studies. For more information, contact Michael V. Smith at michael.v.smith@ubc.ca or phone him at 250-807-9706.